Neymar played down the latest debate surrounding whether he or Edinson Cavani should be taking penalties for Paris Saint-Germain, after scoring a spot-kick against Montpellier on Saturday. The world’s most expensive player was booed by the PSG home fans despite scoring four goals in an 8-0 thrashing of Dijon a fortnight ago, after taking a penalty that could have given Cavani the club’s all-time goalscoring record. But after Cavani had broken Zlatan Ibrahimovic’s PSG record with the opener, the Brazilian was handed the ball by his strike partner to slot home a spot-kick for the first of his two goals in Saturday’s 4-0 win. “The coach has chosen me to take the penalties,” Neymar told the Brazilian press. 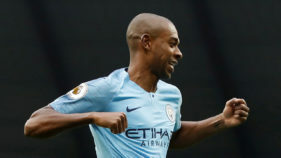 Spanish media reported earlier this week that the 25-year-old is unsettled in Paris and set to move to Real Madrid at the end of the season. When asked by reporters after the victory if he was happy at the Parc des Princes, a disgruntled Neymar said “yeah, why?” and walked out of the mixed zone. Although Neymar and Cavani have had their differences — they had an infamous spat over who should take a penalty in September — there is no doubt that they are a force to be reckoned with when in form. The Uruguayan set up Neymar to complete his double late on against Montpellier, although he may have been going for goal himself. The pair have now scored 53 goals between them in all competitions this season, with Cavani one ahead of the former Barcelona forward. Neymar was quick to praise his team-mate after Cavani’s 157th PSG strike took him past Ibrahimovic. “Of course (I’m happy) for ‘Edi’ who has become the best scorer in the history of Paris,” he said. 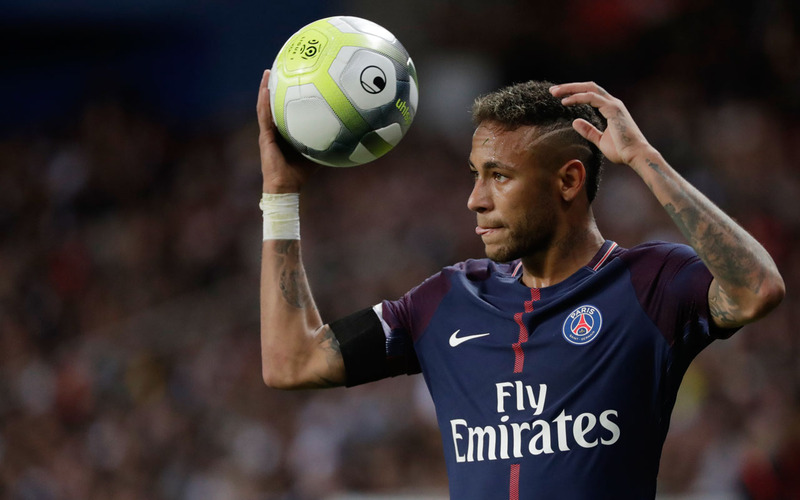 PSG president Nasser Al-Khelaifi, who played a pivotal role in bringing Neymar to the French capital from Barca for 222 million euros ($264 million) in August, rubbished the Spanish media claims that his star attraction wants to leave. “It’s a rumour and of course it’s not true,” insisted the Qatari. 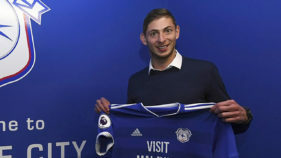 “He’s happy here, he wants to stay here. He only came here five months ago and he still has four and a half years left on his contract. 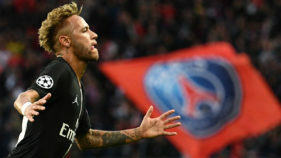 Neymar was brought to PSG with a first Champions League title in mind and coach Unai Emery will be desperate to have the Brazil captain fully fit for the last 16, first-leg tie at Real on February 14. “He is a different player, he is spectacular,” the Spaniard said.